ETC Client Reaches $2 Million in Revenue! 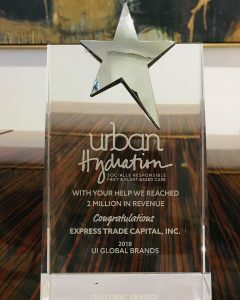 We are proud to announce that our valued client, UI Global Brands, has reached $2 million in revenue! We take immense pride in helping brands like UI Global to bolster their operational funds and give them room to grow. Our diverse assortment of financial, logistical, and supply chain management services offer our clients transactional security, faster payments, production management, and even collections on their invoices.